Continually evolving BPI Plumbing stays on the cutting edge of plumbing technology. Some of our specialties include the latest in Tankless Hot Water Heaters, Water Filtration, and Green Plumbing technologies. Find out how these cutting edge products and services can enhance and increase the value of your property while reducing your costs with energy saving, water efficient technology. To provide our customers reliable full-cycle plumbing service. We design, we build, we service & maintain. BPI Specializes in Residential Plumbing and Drain Cleaning Services. The roots of BPI Plumbing are in providing superior, low-cost residential service. Prompt courteousness along with outstanding workmanship are our hallmarks. Our number one priority is service and satisfaction! We also offer 24 hour emergency services so call us first! BPI Provides Full-Service Plumbing and Drain Cleaning Services for Business. 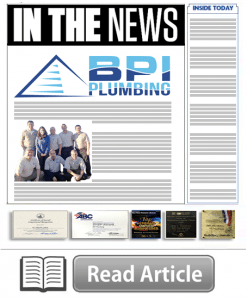 BPI Plumbing understands the needs of our commercial customers. Whether it’s responding to a restaurant’s evening needs or a hotel’s multiple requirements, BPI Plumbing is here to serve you and all your commercial and construction plumbing needs! BPI Plumbing is a small business but highly qualified business. We are a respected San Diego County based plumbing contractor. Our ability to improvise and meet the needs of our government customers has made us one of the fastest growing construction contracting companies in the state. BPI Plumbing is familiar with the special challenges faced by Property management companies and Home owner associations. We train our technicians to understand the daily demands and requirements. Our account customers receive 24 hours a day, 7 days a week service. Let BPI Plumbing handle your prop. mgmt. dirty work! Start by downloading an account application here. BPI Plumbing specializes in all aspects of residential & commercial plumbing service and repair in Chula Vista and surrounding CA areas. Contact us today for a quote at 855-746-4274 or click here to email us. BPI Plumbing is a highly qualified plumbing company. We have done several Government jobs and our ability to improvise has made us one of the fastest growing Government contractors in California. 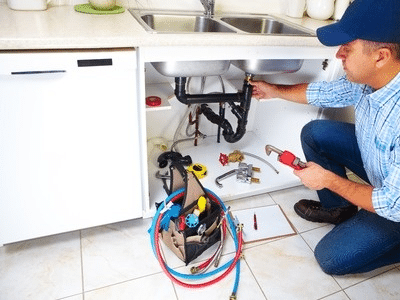 As a local & licensed plumbing contractor we have the training & expertise to handle any plumbing service that needs attention, this includes new construction plumbing. If you are planning a project or need to complete a ongoing project in Chula Vista or surrounding CA areas contact us today for a quote at 855-746-4274 or click here to email us. BPI understands how important your drains are to the health of your plumbing system. When a drain becomes blocked not only do you drains run slower than usual but the clog will put stress on other parts of your plumbing system. If you have a drain problem call BPI Plumbing today at 855-746-4274. We can help! We understand plumbing problems don’t only happen between the hours of 8am & 5pm. This is why you can count on BPI for all you plumbing needs around the clock. We have a local, licensed & professional technician standing by 24/7 to ensure whenever you have a plumbing problem, you have a neighbor standing by to get it fixed even if in the middle of the night on a holiday! Sewer lines crack, backup and can become blocked do too natural surroundings. BPI plumbers are all highly trained & experienced to handle any sewer line related problem. If you are experiencing sewer line issues in Chula Vista or surrounding areas call us for an estimate at 855-746-4274. Water leaks not only are a concern because of the amount of money you could be losing due to lost water but it can also cause significant damage to your home or business properties foundation. Finding where a leak is coming from and having that leak repaired can save you a lot of time and money. Call the local & licensed plumbers at BPI Plumbing today and have a water leak detection specialist find and repair your leak. When a pipe bursts it can be a very stressful time. The experts at BPI Plumbing can remove that stress by sending out a local, licensed & professional Chula Vista plumber 24/7. We can replace the old pipe fast and get you back to your life without having to worry about your plumbing system. At BPI we specialize in installation, repair & replacement of sump pumps. All of our plumbers are highly trained and experienced to handle any type and brand of sump pumps to make sure your septic system continues to run smoothly. Contact us today for a quote at 855-746-4274 or click here to email us. BPI is proud to provide homeowners in Chula Vista and all across San Diego County with low-cost, reliable plumbing service. Our plumbers always show on time and are some of the most courteous folks you’ll meet. We strive to always leave an excellent impression. We also offer service to a diverse range of commercial establishments. Since its inception, BPI has served restaurants, supermarkets, hotels, and many other businesses in multiple industries. We have a deep appreciation for our fellow commercial comrades, which is why we provide 24/7 full-service plumbing to all business accounts. Today, BPI is also recognized as one of the fastest growing government contracting agents in California. With a multi-million dollar bonding capacity, we are a small business capable of performing large-scale government construction jobs. If you have a plumbing problem that needs fixed or an upcoming project that demands the skills and experience of a contractor with 40+ years of hands-on experience, don’t hesitate to get in touch with the team at BPI Plumbing, today! 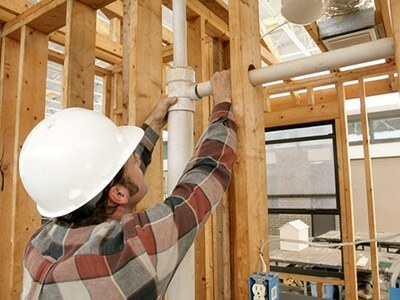 BPI Plumbing has proudly provided residential plumbing services to the residents of San Diego County for 40 years now. Whether it be a clogged drain, water heater repair or an emergency plumbing situation, our expert technicians are ready to help! Since 1976 business owners all throughout San Diego County have been counting on BPI Plumbing for their commercial and construction needs. From grease trap cleaning to commercial water savings inspections, we service all commercial plumbing needs. BPI Plumbing is a veteran owned business with the expertise to handle all government, military and construction needs. Our military background and experience can help provide with an expert and quality to support all your construction plumbing needs.